In a city where someone is murdered almost every day, attorney Michael Abramowitz's death should be just another statistic. But the slain lawyer's notoriety—and his taste for illicit midday trysts—makes the case front-page news in every local paper except the Star, which crashed and burned before Abramowitz did. A former Star reporter who knows every inch of this town—from historic Fort McHenry to the crumbling projects of Cherry Hill—now-unemployed journalist Tess Monaghan also knows the primary suspect: cuckolded fiancé Darryl "Rock" Paxton. The time is ripe for a career move, so when rowing buddy Rock wants to hire her to do some unorthodox snooping to help clear his name, Tess agrees. But there are lethal secrets hiding in the Charm City shadows. And Tess's own name could end up on the ever-expanding list of Baltimore dead. 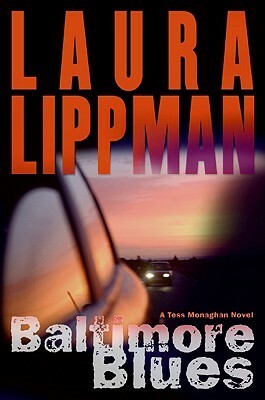 Baltimore Blues is the first in the Tess Monaghan private investigator series. This tells the story of how Tess became interested in doing this kind of work. She was a reporter who lost her job in a close down of her paper. Ever since she has been living in a small apartment above her aunt's book shop, working there a little and doing a little work for an uncle as well. Not terribly fulfilling but it gets her by. She rises every morning to go out rowing which she usually does along side her friend Rock. All that takes a different tack when Rock first asks her to follow his fiance Ava, and even more so when Rock is accused of the murder of Abramowitz. Rock's lawyer - Tyler then takes on Tess to help him prepare to represent Rock in the trial. Tess is not that happy with what she is assigned and starts to do some snooping of her own. This leads to a number of tight corners that Tess finds herself in. Not all of them benign and some of them downright deadly. Tess is tenacious and innovative. More than once I laughed at her ways of getting herself into places she had no right to go. In the process of the investigation she uncovers all kinds of things, and uses everything she can to her advantage. I began to get a little confused with all the ins and outs, but Tess had it more or less sorted. The writing is very good, the characters a little different, the crimes were mostly off scene so it was my kind of book as I don't like too many details, and there was still plenty of action. I certainly didn't work it all out by the end and I'm not certain I was meant to as there were so many decoys. At some point I would like to read a little more of Tess Monaghan, its not my usual kind of genre, but a good read all the same. Ahhh an older Lipmann title. I really enjoy her. My first read of her! 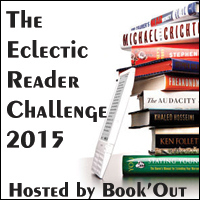 I'm glad you enjoyed it Kathryn, thanks for sharing your Eclectic Reader review! I have a soft spot for reporter/PI characters. I may have to add this for future reading. Thanks for the review.